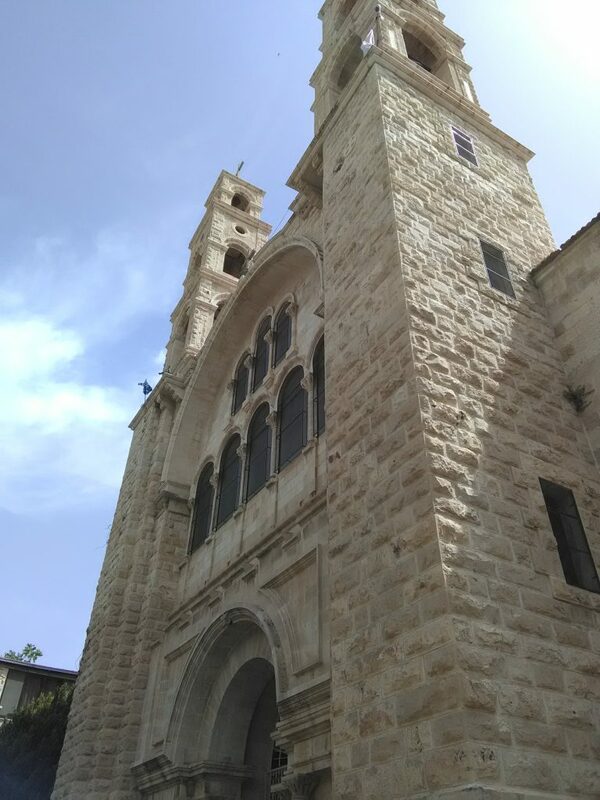 May 3 2018 - Samaria - West Bank It was the last archaeological excursion for this academic year! 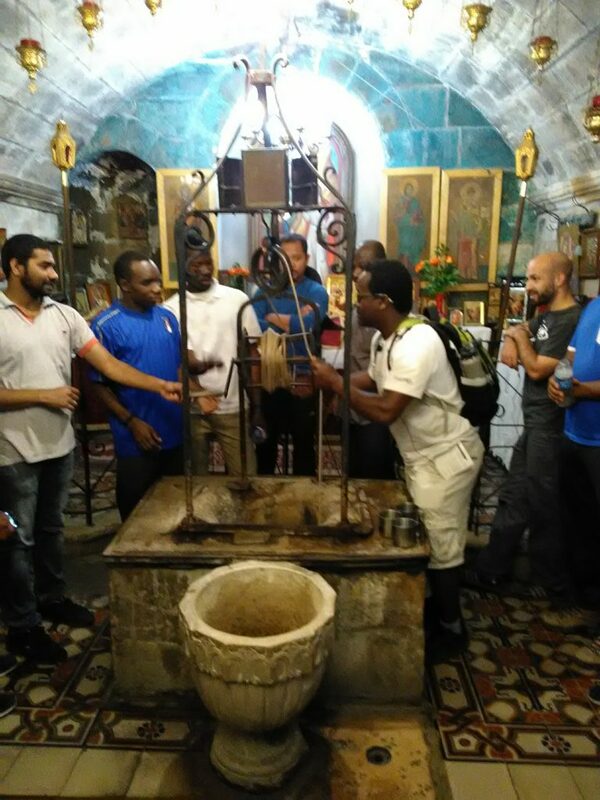 The group of students left Jerusalem at 8:00am for Mount Gerizim, located south of Shechem and the Roman city of Neapolis. The visit would include Mount Gerizim in Samaria, Jacob’s well in Nablus, the tomb of John the Baptist and Ancient Shiloh. The first site visited, Mount Gerizim, was quite interesting and educative for both history and faith formation. From the biblical perspective we know that Mount Gerizim is famous for the blessings and curses that the people of Israel proclaimed when Joshua led them into the land (Deuteronomy 11:29). The Samaritans came into the land after the Assyrian conquest of the Israelites. The Samaritans are believed to be descendants of the Jews, mainly from the tribe of Manasseh and Ephraim. The Samarians built a temple akin to the one in Jerusalem in the 5th century BC. It was eventually destroyed in 111 BC by the Hasmonean king John Hyrcanus. Nevertheless, the mountain is currently the place where the Samaritans’ highest population is found and where its religion is mostly practiced. Fr Piotr Zelazko, guide for the archaeological excursions all year, gave a detailed explanation of the ruins of the Roman city and other attractive sites there. The next places visited, Jacob’s Well, the tomb of John the Baptist and ancient Shiloh, were no less interesting or educative. 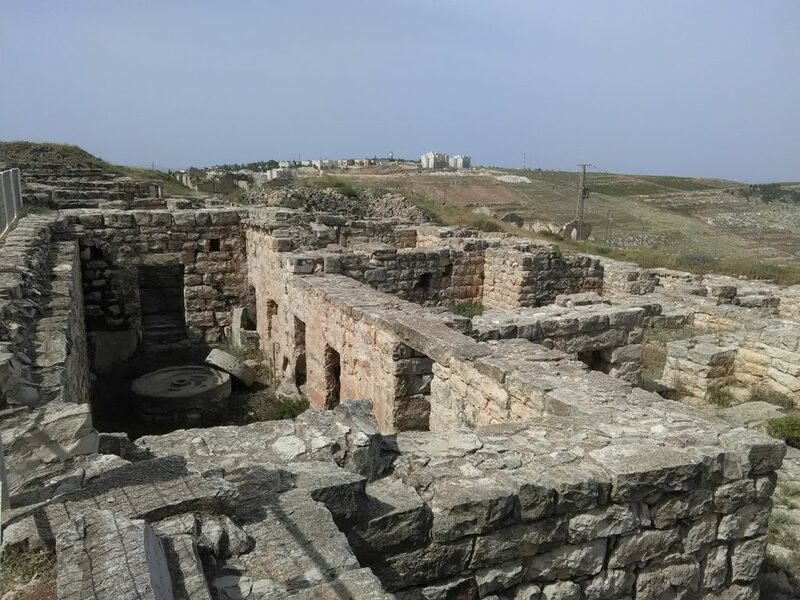 The Gospel of John gives a description of Jesus’ encounter with the Samarian woman at the well of Jacob, in a place called Sychar, close to the field given to Joseph by his father Jacob (John 4:5-6). One interesting thing that happened there was probably the solemn drinking of the water from Jacob’s Well by some pious students. In ancient Shiloh, we saw a fascinating video, which gave a succinct but detailed summary of the events that happened in Shiloh during the time the Ark of the Covenant stayed there. We arrived in Jerusalem from Shiloh at 5:30pm, full with images of the different places we had seen during the day. Fr Piotr Zelazko, guide for the archaeological excursions all year, gave a detailed explanation of the ruins of the Roman city and other attractive sites there. 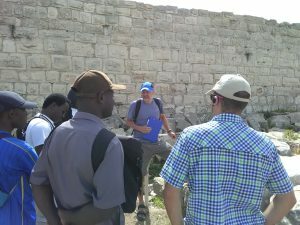 The first site visited, Mount Gerizim, was quite interesting and educative for both history and faith formation.